I wore this back in November. Election week to be exact. 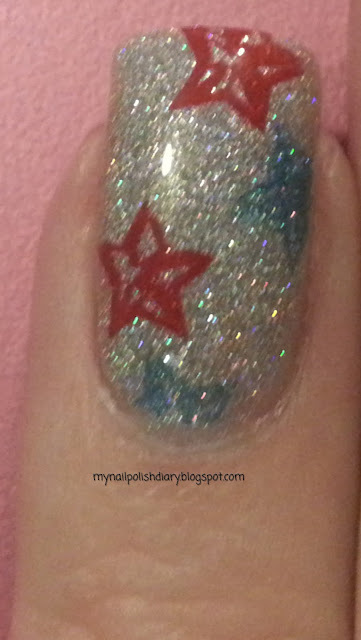 And on election day right before I went out to vote, I stamped an accent nail! I used Konad Red and the blue is Brazillian Big Universo Azul Colonial. Jade Holographics are so gorgeous. I love every single shade. So happy I have them all. I've used this twice as an accent nail and finally got around to doing a whole mani with it. It's amazing. 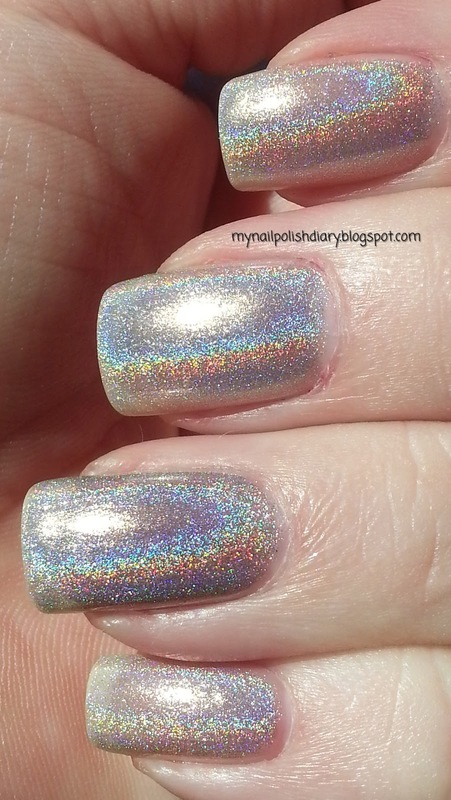 The holo effect is stunning. They apply easily, dry fast and you can top coat them. Love!! I need me some Jades, man!! This is so delicate and lovely. 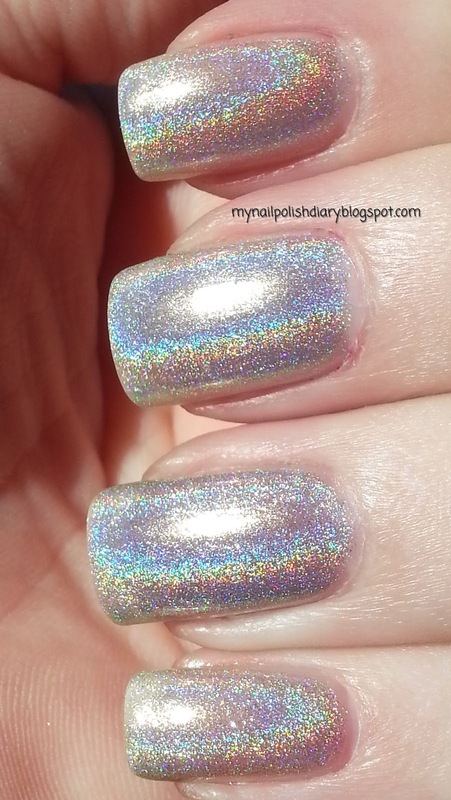 I've never seen a silver holo like this. I totally agree with you Liesl. You need them all! This silver holo is also totally unique for me.